The 2017-2018 Common Application (CommonApp.org), accepted by over 700 colleges including University of Michigan, University of Chicago, and Harvard, has some changes that are summarized in this article on Commonapp.org. We share it with you here, with a few additional pointers. Create a parent’s Common App practice account for yourself. Familiarize yourself with what your teen needs to know for their application. It will be easier to help them with any questions they might have if you already know what to expect. 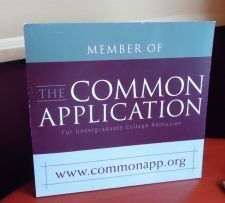 The Common Application website provides this helpful article to get you started. Get familiar with the Common Application website. Their website has helpful information about applying to schools, paying for college, and even asking a teacher for a letter of recommendation. Explore the over 700 colleges that use the Common Application. Take the time to explore different types of schools with your student. You might find something new and exciting! No need to finish applications as quickly as possible, because this doesn’t necessarily yield the best product. Guide your student to work methodically, and help them end up with the strongest application possible. You can always ask for help. 24 hours a day, 7 days a week, 365 days a year, the Common App Solutions Center is available for questions. Michigan State University has two new questions for the 2017-2018 application cycle. Each are required and only 200 words long. Here are the new prompts followed by some advice on how to tackle them. Describe a difficult or challenging situation you have faced. Briefly state the situation, how you responded and why, would you have done anything differently, did you turn to anyone for help, and if so for advice, consultation, assistance, and/or encouragement? Briefly describe a situation where you or someone close to you was not treated fairly. What did you do at the time and why, would you do anything differently, has it impacted or changed who you are today? These questions are “problem and solution” questions. In a “problem” type essay question, you should devote approximately 1/4 of the words to describing the problem. Use the remaining 3/4 of the words to describe the solution to the problem and how you have changed as a result. Why? Because you’re not the same person who encountered that problem the first time, now that you’ve dealt with it. You’re a person who has additional skills and more confidence. Colleges want to know what skills you’ve gained and how you have changed as a result of solving/dealing with that problem. This is because they’ll be asking the person who came out of solving the problem to come to their college. Tell them what you’ve learned, and show them how you changed. 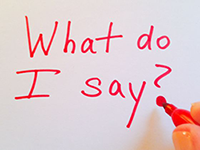 If you can, show your change by describing how your new skills helped in a recent situation. Even though these essays are short, don’t let that intimidate you. Ignore the word length in drafts. Write details in a longer draft, and then delete details that are repetitive or don’t support your main point. Tips 2-6 for the Common Application were derived from this article. Information about the Michigan State application is from this site.